John Wallace was born in Fife, Scotland, where as a young boy he was inspired by the expressive brass playing of the local bands. He read music at King’s College Cambridge and at a young age joined the London Symphony Orchestra. He later became Principal Trumpet of the Philharmonia Orchestra and Principal Trumpet of the London Sinfonietta. Wallace’s lively imagination and spectacular virtuosity inspired many contemporary composers to write concerti for him - includes Sir Malcolm Arnold, the late Tim Souster, Harrison Birtwistle Sir Peter Maxwell Davies, Robert Saxton, Dominic Muldowney, James MacMillan and Mark Anthony Turnage. International conductors also invited him to play concerti with them, and they have included Riccardo Muti, Sir Simon Rattle, Neeme Jarvi, Esa Pekka Salonen, Yuri Temirkanov, Giuseppe Sinopoli and Leonard Slatkin. John Wallace’s broad and eclectic interests led to his creation of a remarkable new brass ensemble which he called The Wallace Collection - not coincidentally bearing both his name and the title of the famous collection of paintings in London’s West End. It is above all with the Wallace Collection that John Wallace has developed his most original and pioneering work, including highly ambitious tours to European, American and Developing countries in which the Collection has initiated interactive educational and performing events with many of the local communities. John Wallace has made The Wallace Collection’s remit a remarkable synthesis of performance, education and research. The ensemble initiates many educational workshops and masterclasses and has embarked on a series of performances and recordings of international brass music through the centuries played on original, authentic instruments. The Wallace Collection has become a highly successful recording ensemble, with a remarkable breadth and diversity of repertoire. Wallace continues to give recitals and masterclasses around the world and has taken part in Arts Council tours in the UK and Australia and British Council events in South Africa and Russia. 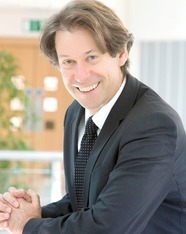 Formerly Head of the Brass Faculty at the Royal Academy of Music in London, Wallace is currently Principal of the Royal Conservatoire of Scotland. He researched the entire history and development of the trumpet for publication by the Yale University Press. He is also co-editor, with Professor Trevor Herbert, of the Cambridge University Press Companion to Brass Instruments. Anthony Plog began studying music at the age of 10, and by the age of 19 he was playing extra trumpet with the Los Angeles Philharmonic under conductors such as Zubin Mehta, James Levine, Michael Tilson Thomas, and Claudio Abbado, to name a few. His first orchestral position was Principal Trumpet with the San Antonio Symphony from 1970-1973 and was followed by a 2 year stint with the Utah Symphony as Associate Principal. He left the Utah Symphony in 1976 to pursue a solo and composition career, and while living in Los Angeles from 1976-1988 supported himself by playing Principal Trumpet with the Los Angeles Chamber Orchestra and the Pacific Symphony and by occasionally playing in the film studios ( Star Trek 1, Gremlins, Rocky 2&3, Altered States, etc. ). In 1990 he moved to Europe to play Solo Trumpet with the Malmo Symphony in Sweden, and since 1993 has been a Professor at the Staatliche Hochschule fur Musik in Freiburg, Germany. During this time he was co-solo Trumpet with the Basel Symphony in Switzerland for 3 years. He has also toured as co-solo Trumpet with the Stockholm Royal Philharmonic ( Japan 1992 ) and the Buenos Aires Symphony (Germany and Holland 1997). As a soloist, Anthony Plog has toured throughout the U.S., Europe, Australia, and Japan. He has numerous recordings to his credit, and has recorded solo albums for labels as diverse as BIS, Crystal, Centaur, and Summit. In addition to his solo career, Mr. Plog has made chamber music an important part of his musical life. He is a founding member of the Fine Arts Brass Quintet and the Summit Brass, and has performed with such chamber music organizations as the Chicago Chamber Musicians, Chamber Music Northwest, St. Louis Brass Quintet, etc. Since being appointed to his first teaching position upon his return to California from the Utah Symphony in 1976, Anthony Plog has taught at various institutions around the world, including California State University at Northridge, the University of Southern California, the Music Academy of the West, the Schola Cantorum (Basel, Switzerland), the Malmo Music Academy (Malmo, Sweden) and the Accademia di Santa Cecilia in Rome. Hailed as “Without a doubt, among the very best trumpet soloist in the world today,” (International Trumpet Guild) and “one of the world’s most engaging and astonishingly versatile trumpeters,” (Style Weekly) Yamaha Performing Artist Rex Richardson was named the 2008 Brass Herald Personality of the Year. A veteran of the renowned chamber ensemble Rhythm & Brass, combos led by jazz legends Joe Henderson and Wycliffe Gordon, the Chicago Jazz Ensemble, and the Brass Band of Battle Creek, he stays busy through appearances with countless celebrity artists and as a guest soloist at festivals and concert series around the world. Particularly renowned as a cross-genre improviser and a champion of new music, Rex has premiered major works for trumpet on five continents, including concertos by Brendan Collins, Pete Meechan, Doug Richards, James Stephenson, and Dana Wilson. Rex’s seven solo recordings (projects ranging from jazz quintet to orchestra concertos) are released on Summit Records. He has served as International Tutor in Trumpet at the RNCM in Manchester since 2012 and Professor of Trumpet and Jazz Trumpet at Virginia Commonwealth University in the United States since 2002. A graduate of the Sibelius-Academy Erja Joukamo-Ampuja also completed her studies in Norway, Austria, Germany, England, Canada and USA with famous pedagogues. In 2010, she completed her licentiate research work in the Sibelius-Academy. Joukamo-Ampuja has played with the Finnish Radio Symphony Orchestra (1984-2001) and has been teaching the French Horn at the Sibelius-Academy since 1987, now being a Professor of Horn and Pedagogy and Art Education. She is also a certificated ear-training teacher. She is an active recitalist and a chamber musician as well as a well-known lecturer and a teacher, and has been giving master classes and lectures in Scandinavia, Europe, Australia and USA. Erja has also participated in various research projects. Erja Joukamo-Ampuja has been a member of Finnish Music Medicine board and has been doing research about musician’s physicality of playing together with medical doctors last 13 years. One of the most sought-after horn players of his generation, Richard Watkins was Principal Horn of the Philharmonia Orchestra for twelve years, and is currently a member of the Nash Ensemble and a founder member of London Winds. Richard Watkins has appeared at many of the world’s most prestigious venues in the UK, Europe and the USA, and has worked with conductors such as Giulini, Sawallisch, Salonen, Slatkin, Sinopoli, Rozhdestvensky, Petrenko, Andrew Davis and Mark Elder. His extensive discography includes recordings of the Horn Concertos by Mozart, Malcolm Arnold, Glière, Ethel Smyth and Colin Matthews, as well as Mozart’s Sinfonia Concertante and Chamber Music for Horn by Schumann, Schubert and Poulenc.Forthcoming releases include a disc for NMC of works written for Watkins,a Wigmore Live Disc of the Britten Canticles with Mark Padmore, Britten’s Serenade with Allan Clayton and Aldeburgh Strings and Edward Gregson’s Horn Concerto with the BBC Philharmonic for Chandos. In recital, Richard Watkins regularly performs with singers such as John Mark Ainsley, Ian Bostridge and Mark Padmore, and with pianists Barry Douglas, Julius Drake,Paul Lewis, Roger Vignoles and Ian Brown. Closely associated with promoting contemporary music for the horn, Richard Watkins has given premieres of concertos by Maxwell-Davies, Osborne, Lindberg, Muldowney, Lefanu, and Colin and David Matthews. Recent premieres have included Colin Matthews’ Horn Concerto and Trio, horn quintets by James MacMillan ,David Matthews and Mark-Anthony Turnage and Horn Trios by Huw Watkins, Alexander Goehr and Gerald Barry. Richard Watkins holds the Dennis Brain Chair of Horn Playing at the Royal Academy of Music where he is also a Fellow. Born in Dublin in 1971, Cormac studied horn with Victor Malirsh at the Royal Irish Academy of Music. He continued his studies at the Royal Northern College of Music, Manchester, and Guildhall School of Music and Drama, London. Cormac was a member of the Junior and Senior Youth Orchestras of Ireland and the Irish Youth Wind Ensemble. Between 1993 and 1996 Cormac represented Ireland in the European Union Youth Orchestra, where he worked with such eminent conductors as Carlo Maria Giulini, Kurt Sanderling, Georges Prêtre, Bernard Haitink, Mstislav Rostropovich and Vladimir Ashkenazy. In 1997 Cormac joined the Royal Philharmonic Orchestra under Daniele Gatti, also working with Yuri Temirkanov, Neeme Järvi, Paavo Berglund, Sir Yehudi Menuhin and Sir Peter Maxwell Davies amongst others. Cormac moved to the Philharmonia in 1999, where he performed with many of the world's leading conductors including Wolfgang Sawallisch, Evgeny Svetlanov, Ricardo Muti, James Levine, Charles Dutoit, Gennadi Rozhdestvensky, Esa-Pekka Salonen, Christoph von Dohnányi, Sir Charles Mackerras and Lorin Maazel. With these orchestras Cormac toured extensively throughout Europe, Scandinavia, Russia, North and South America, the Near and Far East, Australia and New Zealand. 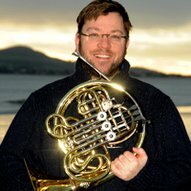 Since 2009 Cormac has been a Principal French Horn of the RTÉ Concert Orchestra. In 2010 he performed Aloys Fleischmann's Cornucopia with the RTÉ Concert Orchestra as part of the Fleischmann centenary celebrations. Jonathan Scott enjoys a hugely varied performing career on a diverse spectrum of keyboard instruments performing music which spans the entire classical repertoire. In addition to his career as pianist and organist he is a leading authority on the French harmonium d'art and has a busy concert schedule with his pianist brother, Tom Scott, performing as Scott Brothers Duo. Born in Manchester, Jonathan studied piano and organ at Chetham's School of Music before gaining a scholarship on both instruments to attend the Royal Northern College of Music (RNCM). With the aid of a Countess of Munster Scholarship he was able to continue his studies in USA and Holland. Jonathan has been a member of the keyboard staff at the RNCM since 2001. A prizewinner at many International competitions including St Albans Organ Competition and RCO Performer of the Year Competition, Jonathan also won the coveted Worshipful Company of Musicians WT Best Scholarship and gold medal, and is a Freeman of The City of London. In the past 12 months Jonathan has given a solo recital at Mansion House on the new organ for Westminster Abbey for the Lord Mayor of London, given a European tour with trumpeter Håken Hardenberger, as well as presenting his second season of solo lunchtime organ concert series at The Bridgewater Hall. He has also appeared as harpsichord soloist in Poulenc's Concert Champêtre with The Orchestra of Opera North and piano soloist in Gershwin Piano Concerto with RPO. He recently appeared at The Royal Albert Hall for a series of performances as organ and piano soloist in Gershwin's Rhapsody in Blue and Saint-Saëns' “Organ” Symphony. Forthcoming performances include recitals across the UK as well an autumn Gershwin tour and solo performances on QM2. In collaboration with his brother, Tom Scott, Jonathan has released several CDs to great critical acclaim on the Scott Brothers Duo label. Their discs have received wide international airplay as well as receiving their own special edition of ‘The Organist Entertains‘ on BBC Radio 2. Jonathan's latest solo CD celebrating the centenary of “The Organ of Rochdale Town Hall” was described as "superb" in Organists' Review.